The 2015/16 GTCP team has officially commenced our morning surveys at the Gnaraloo Cape Farquhar Rookery (GCFR), located 30 km north of the Gnaraloo Homestead. The special thing about GCFR is that it’s a marine protected zone that is closed off to the general public – there is absolutely no human disturbance on the turtles that nest here. Every season since 2011/12, on-ground morning surveys have been carried out at GCFR during part of the nesting season to look for signs of turtle tracks for species identification and to interpret nesting activities. 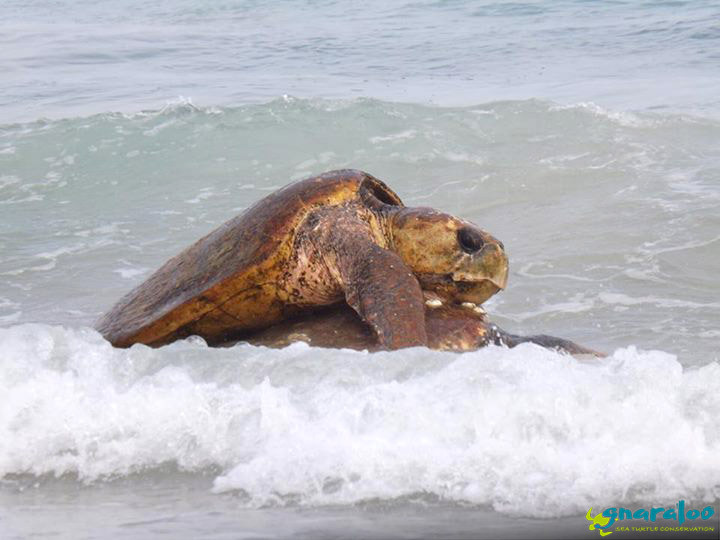 So far, we have identified that the main nesting species at GCFR, similarly to the Gnaraloo Bay Rookery (GBR), is the loggerhead turtle (Caretta caretta) and to a lesser extent, the green turtles (Chelonia mydas). 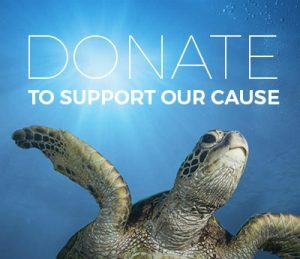 Based on our sampling so far, it appears that roughly half to two-thirds the number of turtles that nest in the GBR nest in the GCFR each year. 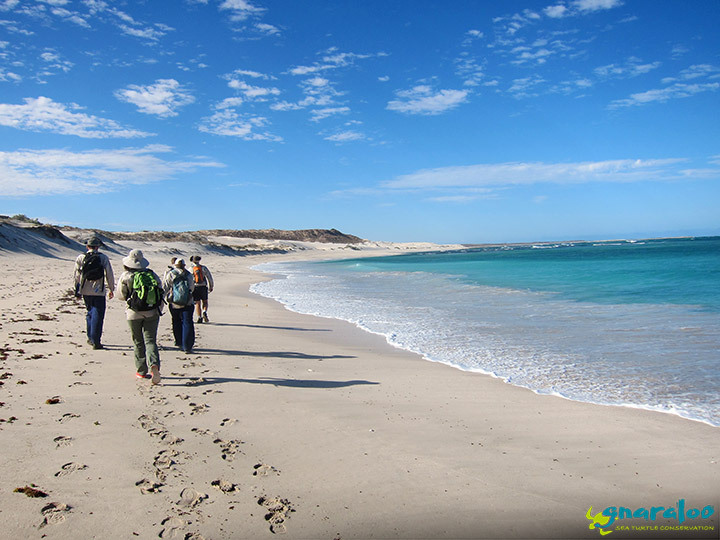 This season, the GTCP team will be monitoring the rookery for two consecutive weeks along two sections of the GCFR, covering a combined 7.1 km of beach which is comparable in length to GBR. 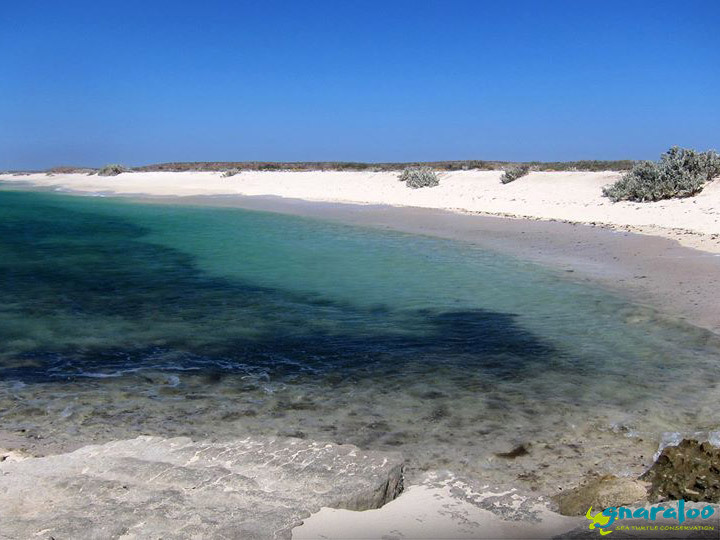 The reason why we only do it for two weeks, as opposed to all season like at Gnaraloo Bay, is due to the remoteness and ruggedness of the site, which makes it difficult to access. A day prior to officially starting the GCFR beach surveys, the GTCP crew took a trip out to this section of beach to mark off old turtle tracks and activities so that we do not count them as part of our survey the following day. 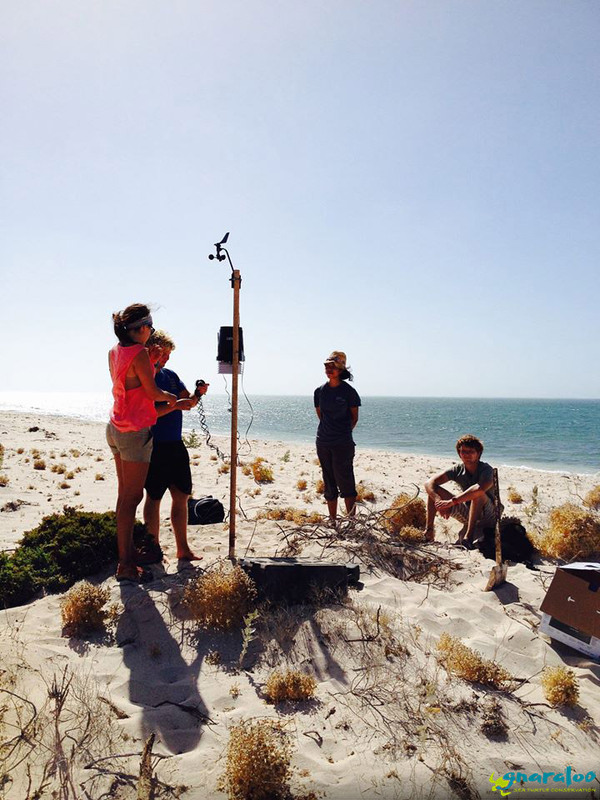 To accommodate our turtle data for GCFR, we also set up a weather station which will be used to record atmospheric conditions such as wind speed, rainfall, humidity and temperature, to see if we can detect any trends that correlate with the nesting data. It’s going to be a full on two weeks but we can’t wait to compare the number of nesting activities and species of sea turtles between GBR and GCFR! previous post: The arrival of the Carnarvon Bushranger cadets! 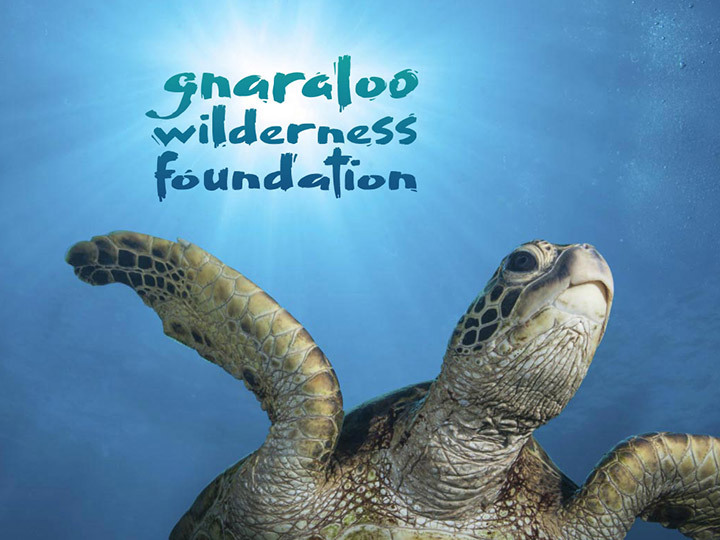 next post: The Gnaraloo Wilderness Foundation Inc.